Because of processing time & demand this may not ship until 5 days after ordering. Pokemon Editor & Bank system. Video Streaming, Cheat Engines, & more! Use cheats or GateShark Codes. Stream or Record 3DS video to PC. Use PS4, Xbox, or nearly any controller. Open source games and demos installed. Install games, Apps, & more. Play games from any region. Massive database of free themes. Download or create free badges. Play SNES, GBA & more. Real time Pokemon RNG tool. Use QR codes to hack games. Leave the SD card in your 3DS. 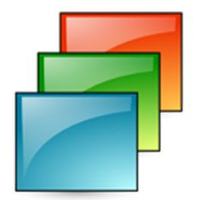 Backup & Restore Save Files. Monitor your system info & data. You are buying from me. 100% Guaranteed Refurbished by PokEdit, Like New Nintendo 3DS console, USB Charger, & 32GB Micro SD Card. Newest Firmware comes installed on the system. That means you can access the eShop and Play Online. No need to block updates, you can update this system! 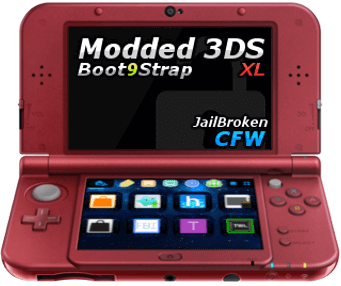 This system is a fully rooted 3DS (Jailbroken 3DS) with boot9stap. This means you can do WAY more with it than a typical 3DS. You can install custom apps, themes, free games, over-clock the CPU, Gen Pokemon, and much more! Most of the best apps come pre-installed and are ready to use. If you're not tech-savvy, no worries! I provide customer support via email, phone, discord, and can provide guides for anything you want to do. PKMS is an app that comes pre-installed on our Modded Systems. It let's you do many things without the need to use a computer or remove your SD card. This tool is more powerful (including more tools and functionality) than PCHex++ and PHBank combined. Works with game cartridges AND downloaded versions of the games. Best of all it works with Pokemon Sun & Moon! With PKSM's easy to use interface you can edit and clone Pokemon with ease. You can edit everything from Moves, Abilties, IVs, EVs, Natures, and much more! The editing system works for Pokemon Sun, Moon, Omega Ruby, Alpha Sapphire, X, and Y. You can also inject real Event Pokemon from the PKSM WonderCard database! You can safely store 999 Boxes of Pokemon using PKSM. That's nearly 30,000 Pokemon! No internet connection required and the storage is free because it's stored locally on your SD card. A mass Pokemon Injector lets you add batches of rare Event Pokemon quickly into your game. You can also inject a Living PokeDex. You can max out most in-game items, change the game language, and clear your Mystery Gift box. Full Editing and Banking compatibility for Pokemon Sun, Moon, Omega Ruby, Alpha Sapphire, X, and Y. For 5th and 4th Gen games there are only limited tools available. NTR is custom firmware that runs over the top of the currently installed firmware. Simple put, it let's you do some really cool stuff! For many of the features you'll need to download a computer program like Kit-Kat or Snickerstream. This program is safe and easy to use. Currently only a Windows version exists. You can use NTR + Kit-Kat to stream the video from your 3DS onto your computer! It's like having a 3DS Capture Card for free. This makes it possible to Stream on Twitch, record YouTube videos, or just play games using your computer monitor as your screen. *2SD cannot do video streaming. However New 2DSXL can. NTR + Kit-Kat give you the ability to use a controller to play games on your Modded System. You can use controllers like Xbox, PS4, PS3, GameCube, and basically any other that you can connect to your computer. This is now possible to do with Luma3DS using Rosalina. It's much easier and fully supports all buttons for every game. SUMOHaX is a cheat plugin for Sun & Moon that let's you run cheats while playing the game. You can set wild encounters, walk thru walls, max out items, and much more! There are cheat plug-ins for many games including Omega Ruby, Alpha Sapphire, X, and Y (included on this system). Other cheat plug-ins can be found here. You can do much more with NTR including some of the following: Take Screenshots of in-game play, Real Time Saves, adjust the back light and blue light output, and more! With this Modded System you'll be able to Back Up and Restore your game saves so you can Edit and Gen with PKhex. You'll be able to do this with pre-installed JK's Save Manager and TWLSaveTool. PKHeX is a free, open source app made by Kaphotics & other awesome people and can be downloaded from here: Download PKHeX. Omega Ruby, Alpha Sapphire, X, & Y. All 5th Gen Games (BL, WH, BL2, WH2). All 2nd and 1st Gen Game. PKHex let's you run legal analysis for Sun, Moon, Omega Ruby, Alpha Sapphire, X, and Y, and every other previous generation. This will help you make legal Pokemon that work online and don't have any issues. Also be sure to check out my YouTube Channel for new PKHex tricks videos. I'll always be adding more and showing you how to use PKHex and all the tricks. Dump and edit pokémon from boxes, Day Care/Nursery, Battle Box and Party using PKHeX interface. See wild opponent pokémon and your partner's pokémon during a trade. Edit Items and Trainer Data. BSearch pokémon in the 3DS' RAM with Poké Digger. Build your own mini-bots with the Script Builder. A fast and simple save manager created with the ideas of simplicity and efficiency. Easy to use and has all of the features you need for backing up and restoring save files for your 3DS games. Works with cartridge games and downloaded games. This brilliant save manager comes pre-installed. This system makes backing up and restoring save files simple, easy an oranaized. Works with all 3DS games including Pokemon Sun and Moon. This will give you the power edit your Pokemon files in PKhex and even add Pokemon made with Nekomon. This pre-installed save tool let's you backup and restore DS game saves (including all 4th and 5th Gen Pokemon games.) This will allow you to edit and gen Pokemon using PKhex, PokeGen, or even load files made with PokEdit. Five of the best Emulator come pre-installed on the home menu of this 3DS. Those include SNES, NES, Game Boy Color, Game Boy, and TurboGraphix/PC-Engine. If you want to expand your ability to use more emulators then the homebrew channel may be right for you. 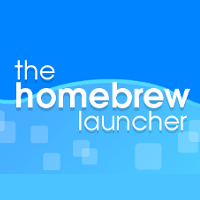 The Homebrew Launcher comes pre-installed giving you easy access to the Homebrew channel from the Home Menu. It auto-updates so it will continue working even if you do a system update. With the Homebrew channel you'll be able to use Emulators to play classic games from system like SNES, NES, GBA, Genesis, and more! Some of these will come pre-installed. It's easy to add more Emulators. You should legally have your own ROMs when using these Emulators. There are many custom/home-made games by various developers that are free to download and play using the Homebrew Channel. Some of them come pre-installed to give you a taste of what's available. There are many homebrew apps and utilities available. They are easy to install by simply dropping the correct files into the /3DS folder on your SD Card. This system comes with Luma3DS custom firmware. This is the what really makes this special. With Custom Firmware you can do things that you can't normally do with your 2DS/3DS. 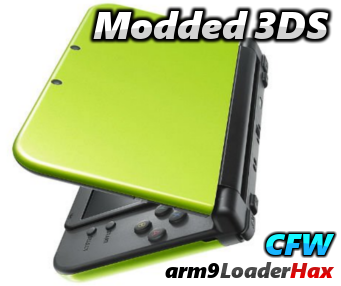 You can still install normal system updates and a Luma3DS Updater app is included to easly update the CFW also. Rosalina is a custom firmware menu that you can access at any time when using the system. You can open Rosalina at any time buy pressing L+SELECT+DOWN (you can change this once in the menu). This will give you options such as input redirection (using controllers to play your 3DS), changing the CPU/Cache speed on the fly, taking screenshots, and more. This custom firmware makes the system completely region free. That means you can play games from any region, including but not limited to NTSC (North America), PAL (Europe/Australia), NTSC-J (Japan). No special trick is needed. Just put in the game cartridge and play like normal. You can also install .CIA files from other regions. FBI comes pre-installed on this system. This system let's you install games, app, and other utilities using .CIA files. FBI is user friendly and has some great features. This QR Injection method supports Pokemon Ultra Sun, Ultra Moon, Moon, and Sun. Inject Pokemon into USUM and SuMo using QR codes. This system will allow you to do this if you follow this simple guide. [This part is for old 2DS only] Because this system is so awesome you can use FBI to downgrade the browser and use QR codes just like we did back in the day. All files needed for this are included on the console and it's extremely easy to setup. You'll be able to use all your favorite QR codes from PokEdit QR, PKHex, and elsewhere. I will have a guide available on how to set up your browser for using QR codes. Once you have enabled this, the system may ask you to update from time to time again. It's completely safe to update as it will just upgrade the browser. You can revert to the QR browser any time you like. This system comes pre-installed with some of the best apps/plugins around (many of which are catered to Pokemon). This system comes with free open source games and demos including: awesome fan-made Zelda games, Cat Mario (Syobon Action), Quake, Duke Nukem 3DS, and more! These are in addition to the games you can download on FreeShop (with legal titlekeys of course). This is a very powerful real time plug-in. It has features like Multiple Menus and Views, RNG Tools, Multiple Breeding Tools, TSV/PSV Checking and more. For more information see here. FTP file trasnfer let's you manage the files on your SD card without having to take your SD card out and put it into your computer. All you need is a free FTP program on your computer (I recommend FileZilla) and you can easly connect to your 2DS/3DS and move files back to forth from the SD card. ANEMONE 3DS THEME MANAGER is pre-installed and let's you set custom themes. It's possible to make your own themes, but you can also download themes from a huge database at Theme Plaza and 3DS Them.es Archive. It's so easy to install themes with this tool. The images below are just a tiny sample of the available themes. Themes even have custom music and sound effects! GYTB (give you this budge) is another tool that included that let's you install custom badges. You can create your own if your adventurous or download custom badge packs from 3DS Them.es Archive or Theme Plaza. Open source eShop clone for the Nintendo 3DS. Allows you to browse and install titles you own (i.e. titles for which you have the titlekey). What can I say about this app? It's easy to use. Search for games and download them. It has some nice options for searching titles. Learn more about what you can do with this app by search Google. A useful and cool alternative to FreeShop. Using a Title ID and an encrypted title key, or searching for a title by name, GOOD CIAs will be produced or directly installed that can be redownloaded from eshop and updated from eshop if new content comes out. These CIAs will not interfere with content from eshop. This system comes with some pre-installed cheat plugins like SuMoHax, pokeCalcNTR, XY/ORAS cheats and so on. You can search the web and creat your own GateSharks too! Using GateShark2NTR you can convert GateShark codes to NTR usable plug-ins. You can get many codes to convert from Fort42. This system comes with many safety features to ensure you'll be covered if something goes wrong. This will let you restore your system to the way I shipped it to you if anything goes wrong. I recommend knowing what your doing or contacting me before using PayLoads. If you don't know what that means then you'll probably never need it. Leave your game carts at home! This system will allow you to backup the game cartridges that you own and install them directly onto this console. It's an easy process, but I recommend following my guides before backing up and installing your games. If anything goes wrong you can always contact me. I'm a real person. I created and run this website. My name is Cake. And you can Contact Me and I'll help you if you run into any trouble. Current kernel, FIRM and system version detection. Model detection with code name. Battery percentage (actual battery percentage using mcu::HWC). Displays SD, CTW, and TWL free and total storage capacity. Displays Wifi slot info (SSID, password and MAC address). For full details see the creators gitub readme. Hi, I'm Cake. I'm the creator and owner of PokEdit. I'm the person that you're buying from and talking to if you contact support. The first version of this website went online about 10 years ago. I've been working on it and trying to add new features, new items for sale, and improve it throughout the years. I have a pretty big track record as a seller on the internet. I have over 10,000 positive feedbacks from my eBay Seller Accounts (PokEdit & Unlocked Game Saves) and an amazing feedback rating on my Amazon Seller Account. If you do make a purchase, I recommend doing it on my site. The prices are cheaper, my fees are lower, and I have items here that are exclusive to PokEdit.com. You can find me around the web on various social networks. I really appreciate it if you follow/like me as it helps support what I'm doing. I also made a Pokemon Creator App called Nekomon. It's currently only on iOS, but an Andriod version is coming soon. If you purchase this system from my site and download the App, I will give you a free Full Unlock Code (worth $9.99 USD or more). If you can leave me a 5 Star Review in exchange for the free code that would be amazing! Contact me after you receive your order and I'll send you the code. All of the Custom Firmware and Apps included on the system are free and mostly open source. I am not selling the firmware or applications. When you purchase this item you are paying for the system and the labor for me to modify the system, set it up, install the apps, and prepare it for you.